Day Trip Adventures can be just as much fun as a stay vacation, thanks to Metro North's partnership with just about every town along its Hudson River Line, from Grand Central to Poughkeepsie. They offer scenic service and an impressive calendar of seasonal events, festivals and activities you don't want to miss: from farm, brewery and winery visits to tours of artists in residence studios and historic homes. Abandoned factories that have been renovated into loft living offer affordable incentives to relocate. 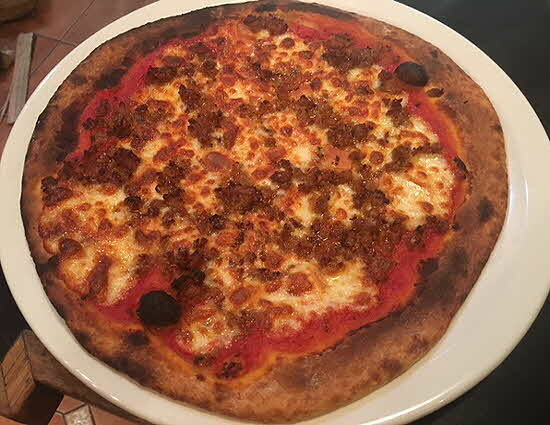 The food scene has also traveled north with a new breed of chefs, who having honed their skills working in some of the most famous kitchens, returned home to open a restaurant or brewery in the town where they were raised. Ambitions run high and passions flow. On a recent day-cation to Newburgh, my seat on the left side of the train affords sweeping views of the Hudson River; we pass parks that line the shore, new riverfront apartment complexes, and an array of boats berthed in small local marinas. It is soothing to leave the city behind, and as the train makes its way north, I am amazed as to how quickly the sounds and smells of NYC fade from my senses; the hour and a half ride along the Hudson is calming and pleasant. We disembark in Beacon and ferry over to Newburgh; another layer of city life is washed away by the refreshing spray. The city of Newburgh is a history course in itself. From April 1782 to August 1783 General George Washington, Commander-in-Chief of the Continental Army, made his headquarters and residence at Jonathan and Tryntje Hasbrouck's family farmhouse. Here, the General, his wife Martha, officers, servants, and slaves lived and worked in close quarters. It was the longest he stayed at any headquarters throughout the 8 1/2 years of the Revolution. During this time, he made some of his most important and critical contributions to shaping the American republic: he rejected the suggestion of an American monarchy, preventing potential military control of the government... create the Badge of Military Merit, forerunner of the Purple Heart... circulated an influential letter to State Governors outlining the key principals he felt necessary for the new republic... and announced the Cessation of Hostilities, which ended the fighting of the Revolutionary War. 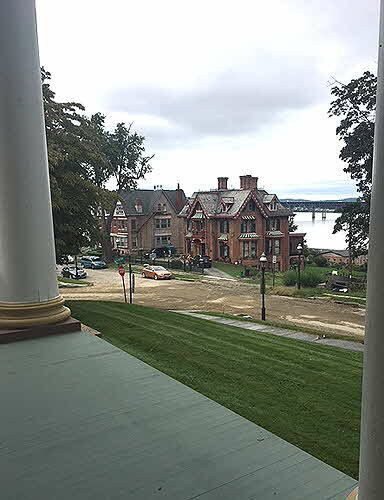 This historic home was acquired and opened by the State of New York in 1850; it is the first publicly owned and operated historic site in the Nation, a National Landmark within Newburgh's 445-acre East End Historic District. The Hasbrouck house, furnished to reflect Washington's stay, is open for guided tours. The Historical Society of Newburgh Bay and The Highlands was incorporated in 1884 to celebrate the centennial of peace; its mission is to collect and preserve historic documents and artifacts. Sunday tours, and an expansive cultural program, take visitors through the home of Captain David Crawford, a 19th century civic leader and shipping entrepreneur who contributed greatly to the growth of pre-Civil War Newburgh. The town's revitalization is welcoming and full of surprises: its emerging food scene is transforming Liberty Street and River Walk into meccas for food lovers... and once active mills have morphed into spacious loft condos, making the town a great place to live. 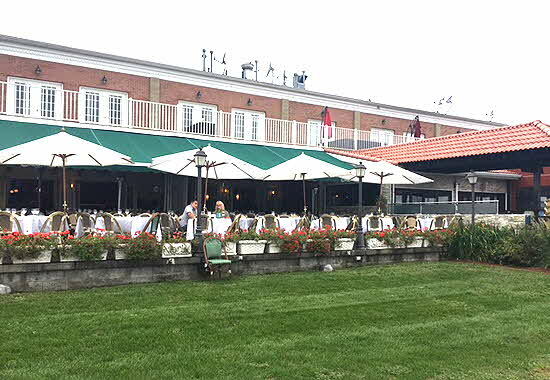 The charming restaurants and cafés along River Walk have expansive decks, and offer al fresco dining with sweeping views and creative menus. We begin our activity packed day at Café Pitti where Ecuadorian chef/owner Jose Hernandez, who cooks all his dishes in a brick oven, greets us with a welcoming platter of seafood and salads he prepares to tantalize our palates. 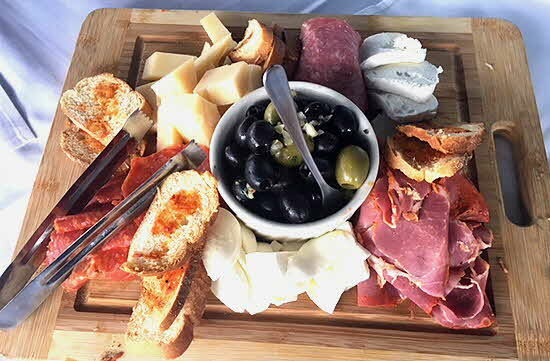 From here, we walk along the river to The River Grill where chef/owner Mark Mallia covers our large table with a welcoming feast: platters of meats and cheeses, seared rare tuna, mussels in a delicate broth, lightly fried calamari and succulent crab cakes. The bar's specialty cocktails earn a place in my heart as well. The Newburgh Brewery, a not to-be missed stop on a day's outing, produces craft beers which are sold in Whole Foods and other stores in the Northeast. Co-owner Paul Halayko, who also grew up here, became an accountant, moved to Germany and then returned to pursue his love for beer and the Hudson River. The brewery, also an event venue, serves a beer friendly menu, and tastings are on the house. In addition to the food scene, what is most impressive is the roster of artists-in-residence who have transformed Newburgh into a vibrant art community; its annual Open Studios Tour takes visitors into the working studios and lives of 30 local artists. Newburgh has the vibes of early Williamsburg in Brooklyn, and officials are hoping it's inventory of affordable houses, poised to be rescued and restored will attract millennials who are seeking to plant organic roots and help build a community of promise and love. 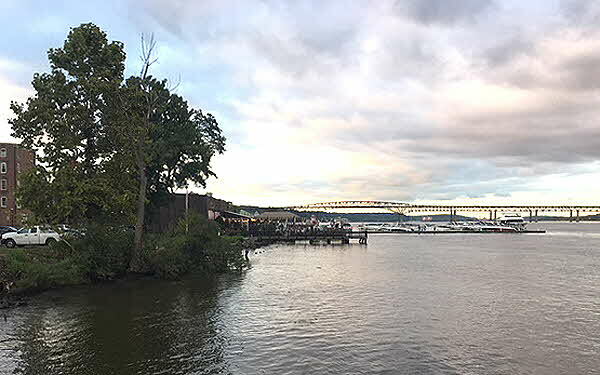 After a full day of exploring Newburgh's past, present and ambitious dreams for the future, dinner at The Liberty Street Bistro proved to be a gourmet experience worthy of accolades and a James Beard Award. Chef/owner Michael Kelly left Newburgh for culinary school; then worked for Thomas Keller at Per Se and Gordon Ramsey in New York City. He returned two years ago and opened his fine dining restaurant. Enticed by the menu, I order the steak tartare appetizer, pork tenderloin en croute and a chocolate banana mousse... which I savored with a full-bodied French Bordeaux. I would have loved to linger longer with another glass of wine, but we had to ferry back to Beacon to catch the 7:45 Metro North train to the city. I settle down in my seat, both exhilarated and weary. As the train winds its way along the Hudson, I reflect on how much more there is to discover and enjoy in Newburgh, and other destinations in Orange County. Thanks to Metro North’s community partnerships, there’s awide range of active, passive and educational STAY and DAY-CATIONS. My love affair with New York State has been ignited, and I can't wait to discover and taste more. As my Metro North train pulls into Grand Central Station, I am already planning my next Adventure. Whatever your passion and pleasure; it awaits, just a train ride away.